Kat and Karl : It Has Come to THIS. It is officially June 29th and I still have not stopped using Google Reader to manage and read my blog subscriptions. Every time I open it, it says "This is a reminder that this service will no longer be available as of July 1, 2013" (in two days) and I hit the OK button like I am a lady of leisure with all the time in the world. I tried Bloglovin and Feedly and the new Digg Reader and some other random RSS services. I hate them all. I had everything organized the way I liked it in Google Reader and it just feels, uhm, different with the other services. Sometimes me and change don't get along! DAMN THE MAN! ANYWAY, I don't know if you all have switched (I am open to recommendations or tips and tricks) to a different reader but the whole fiasco has prompted me to add a subscription service here on the ole blog. Since I am only posting 5 or 6 times a month, I thought you all might like it delivered to your inbox when it goes up? And then I think it sends you a Thank You! 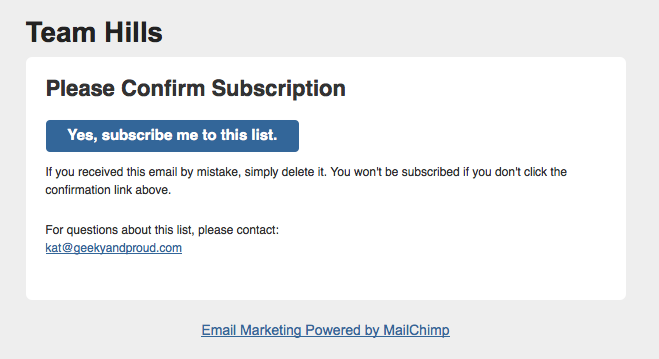 email for subscribing list. I promise never to spam you (no giving away millions from foreign princes - sorry) or give away your email address. I also am finishing up a stellar post about Nate's birthday and an OH YEA WE SOLD OUR HOUSE IN ONE DAY post. So, you might want to get in on that action. Just sayin'. We're going to try this out. Hope you all want to come along!